Can Family Members Keep the Home? As you contemplate your death, you may be concerned about how your debts will affect family members and heirs. Home loans, in particular, can be hundreds of thousands of dollars. So, what happens to your mortgage after death, and what can you do to make things easier for loved ones? The good news is that heirs are not responsible for loans that they have nothing to do with, and you can plan ahead to keep everybody in the home—if that’s what everybody wants. The death of a borrower changes things, but perhaps not as much as you’d think. The loan still exists and needs to be paid off, just like any other loan. But the stakes are high with housing debt, as family members may live in the house or have emotional attachments to it. Survivors can handle the mortgage in several ways, and some will be more appealing than others. It’s crucial to make arrangements for your monthly payments when you die. Doing so prevents the lender from applying penalty fees and starting the foreclosure process. A surviving spouse, your executor, or anybody else can make payments while you settle the estate (or automatic bill payments can do the job). Of course, that assumes that those funds are available. For most married couples, the process is straightforward. 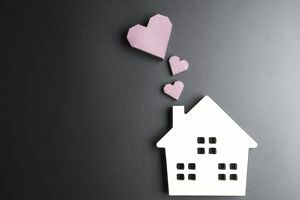 If both spouses own the home and applied for the loan together, the surviving spouse generally takes over everything (ownership of the house and responsibility for the loan). Your estate is responsible for paying off debts, but real estate is unique. Under federal law, lenders must allow family members to take over a mortgage when they inherit residential property. This prevents lenders from demanding payment under a due-on-sale clause, which would be triggered when ownership transfers to your heirs. CFPB rules say that heirs do not need to prove they have the “ability to repay” the loan before taking over the mortgage. If anybody co-signed for the home loan, that individual would be liable for paying off the debt—whether or not they live in the home or have an ownership interest. Non-owner co-signers are probably most at-risk if you die with outstanding mortgage debt. Heirs are not required to keep the mortgage in place after you die. They can refinance the loan if there’s a better loan available, or they can just pay off the debt entirely. If you have significant assets in your estate at death, having your executor pay off the loan allows heirs to take the home free-and-clear. In some cases, heirs may not be able to take over the mortgage. Whether they can’t afford the payments or they don’t want the property, selling the home is always an option. If the home is worth more than you owe on it, the difference goes to your heirs. Your executor can sell the property and use the proceeds to pay off other debts or distribute assets to heirs. Alternatively, if an individual heir takes over the mortgage and ownership of the home, that person can pocket the difference. If you owe more than the home is worth—and nobody wants to take over payments—you executor may be able to negotiate a short sale with your lender. If all else fails, the lender can simply foreclose, but it might be best to leave “walking away” as a last resort. Reverse mortgages are different because you don’t make monthly payments. Those loans must be paid off after the last borrower (or eligible spouse) dies or moves out, but family members and roommates can keep the home by paying off the loan. Some basic estate planning will make things easier for everybody. Speak with a local attorney, describe what you hope to accomplish, and ask how best to make it happen—the sooner, the better. A simple will might do the trick, or you can use additional strategies. Money doesn’t buy happiness, but it can solve a lot of problems. Life insurance provides a quick cash injection to pay off your home loan or keep up with monthly payments. That money can give everybody options, including a surviving spouse who might or might not want to keep the home. Plus, if a co-signer helped you get approved, you can get them off the hook. With the help of qualified professionals, evaluate whether or not it makes sense to hold your real estate in a trust or a business entity like an LLC. Adding additional owners to the title could also be an option. Any action that keeps your home out of probate can help to reduce costs and smooth the transition for your heirs. However, those changes may have significant legal and tax consequences—so consult with a local attorney and CPA before you take any action. Especially if your family members will have a hard time making payments after your death, make funds available to them. They’ll need to pay the mortgage, maintain the property, and stay current on taxes. This helps them minimize stress and paperwork, and they can sell the home for a fair price if that’s what needs to happen. Discuss your intentions with anybody who will be affected by your death. It’s not fun, and it’s harder for some than others, but communication can go a long way toward preventing heartache when the inevitable happens. Find out if loved ones want to keep the house, or if they’d prefer to move on. If you have multiple heirs, clarify who gets what—and under what conditions. For example, if one person gets the house, will the estate pay off the mortgage, or does that individual inherit the home loan along with the property?